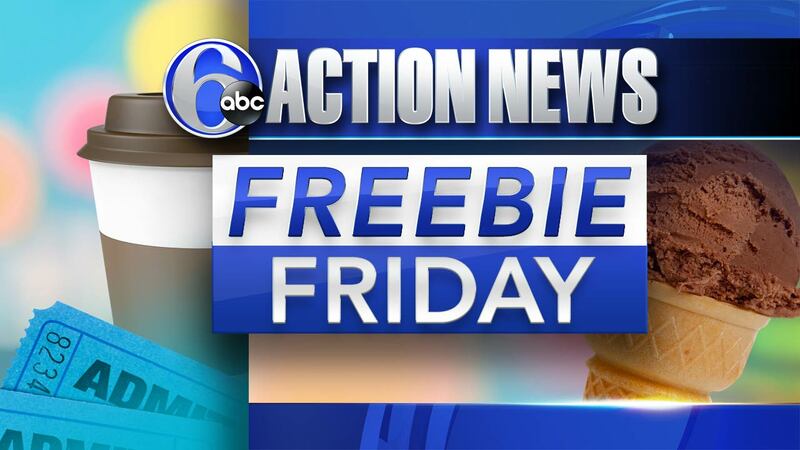 PHILADELPHIA (WPVI) -- We have a jam-packed, delicious edition of Freebie Friday that also includes some special things for mom this Mother's Day weekend! To celebrate their 5th anniversary, on Tuesday, May 15th Sip-N-Glo is hosting its annual Free Juice Day. The juicee starts flowing at 11am. There will also be free mini cupcakes for the first 50 people at easch of their three locations. To find your nearest location, CLICK HERE. This weekend, the Friends of Rittenhouse Square are celebrating Love Your Park Week and kicking it off with a cleanup of the square. Volunteers who show up to plant flowers, weed, rake and other duties will get free food, like a 16oz salad from Sweetgreen, a free frozen custard from Shake Shack and free macaroons from Sofitel Philadelphia. It all happens between 9am and noon. This weekend, Spruce Street Harbor Park along the Delaware River is kicking off the season with a free weekend-long festival with all kinds of fun - from music to crafts, face painting, takeaways and even a prize vault. It all starts Friday, May 11th and ends at 8 pm Sunday, May 13th. To see the full weekend schedule, CLICK HERE. May is National Bike Month and to celebrate, the Kimpton Hotel Monaco Philadelphia is offering free bike checkups. They have tuneups available on Thursday, May 17th and while you wait, get free drinks and snacks from Red Owl Tavern. You can also enter to win a raffle for a brand new bike. Sunday is Mother's Day and we have a few freebies for the ladies in your life! TCBY is offering mom a free 6oz frozen yogurt on Sunday. Pilot Flying J is giving moms free hot or iced coffees all weekend long - any size! All you have to do is download the app. At the Washington Avenue Green on Columbus Blvd., you can create a make and take craft for mom on Saturday, May 12 from 10am-2:30pm. There's also free entertainment, music and outdoor play.